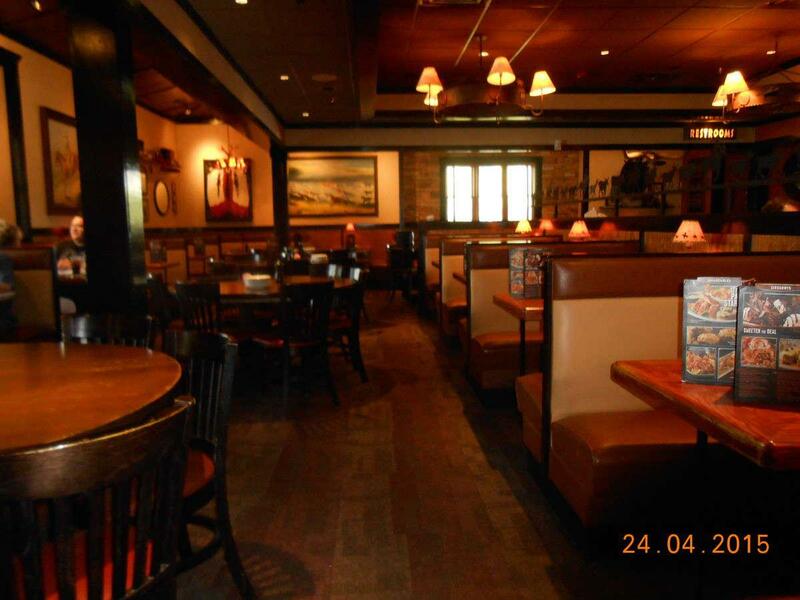 You are offered to eat mouthwatering fillet steaks, tenderloin and chicken parmesan. 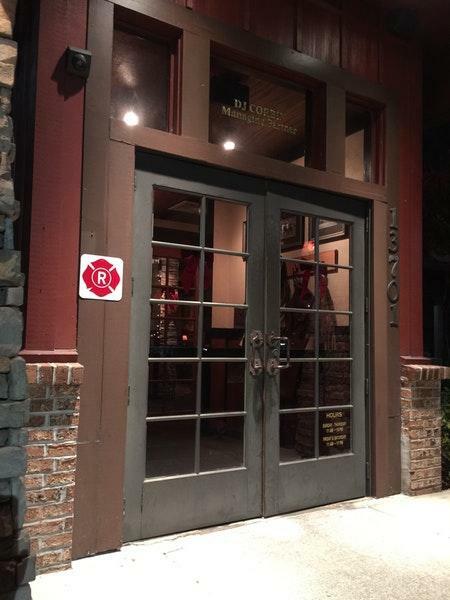 Visit this restaurant for delicious draft beer or good wine. Visit this place and order great tea or delicious juice. 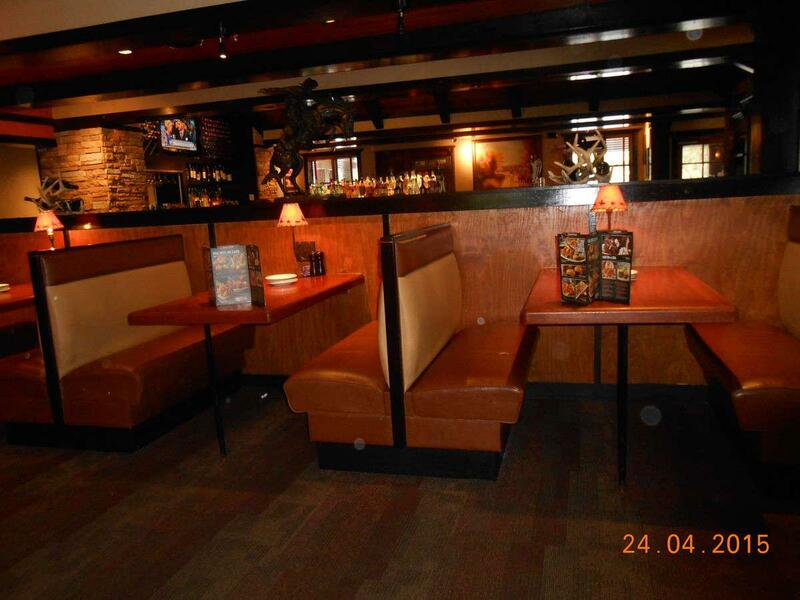 The intimate atmosphere of LongHorn Steakhouse allows customers to relax after a hard working day. Most visitors mark that the staff is terrific at this place. People mention that the service is fast here. Attractive prices at this spot are good news for its guests. A lot of reviewers think that the decor here is divine. The TripAdvisor score for this restaurant is 4.5. First of all, the place is grimy. It needs a deep cleaning. The carpet is old and looks like it needs replacing. Second, the staff doesn't clean the tables well (and probably doesn't clean anything else well, either). We were seated at a table that looked like it was cleaned with a greasy cloth. How the hostess couldn't see that I could write my name in the film was beyond me. I complained and someone came over with a dirty rag to clean it. She wiped the entire table except the areas that were directly in front of us. And all she did was re-smear the tabletop with whatever was on the rag. Maybe she was blind because she clearly couldn't see that the table was still gross. I unrolled my silverware and used my napkin to re-wipe it. Our server lacked any personality whatsoever and took forever to even check up on us. It took her six minutes to bring me a new napkin. The Long Island iced tea tasted like flavored water. What a waste of money. Our ribeyes were not great. Mine was about 1/3 fat. There was a mound of fat on my plate after I was finished eating. I will say that the small amount of meat I did eat tasted good. 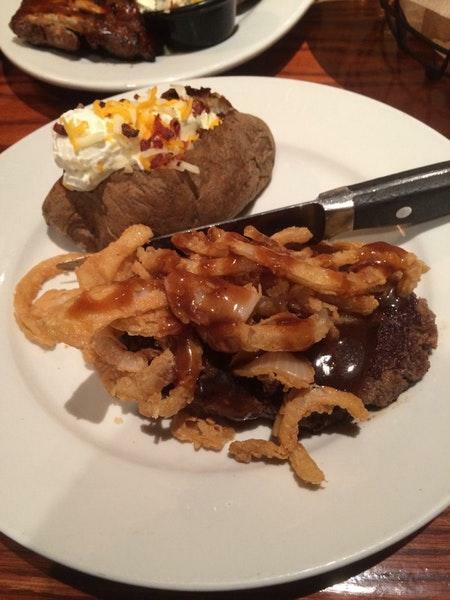 Overall, the steak was unacceptable. A steak place shouldn't even let a fatty piece of meat like this leave the kitchen. Our baked potatoes were not fully cooked and seemed as though they were microwaved. Some parts were very hard and dry. That this place is still operating is testament that people will eat anything put in front of them. We were so over our experience that all we wanted to do was get the hell out of there. Needless to say, we will never go back. Our family had a really good experience. Shannon the hostess was very familiar and welcoming and William our server had a huge smile in his face all the time. I would totally recomend this location over all the others around.